What color eyes will my baby have ? The determination of the eye color of an individual is a complex and fascinating phenomenon, especially when the birth of a new child approaches. What color would my child's eyes be? What are his chances of having brown, blue or green eyes? The following answers are simplified explanations, the determination of the eye color of an individual depends on much more parameters than those cited below. This method of calculation takes into account only three theoretical eye colors: brown, green and blue. The results given by this calculator are an estimate of the chance of having a child with the eyes of one of these three colors. Two principal genes are detected as determinants for eye color: EYCL3 (localized on chromosome 15) and EYCL1 (localized on chromosome 19). The EYCL3 gene determines the amount of melanin present in our eye color, light eyes or dark eyes. Its value can be: B (Brown) or b (blue). The EYCL1 gene determines the blue color or green color of our eyes. Its value may be: G (Green) or b (blue). On each chromosome, we have two different alleles that come from our mother AND our father. These genes have a dominance / recessivity ratio between them, that is, some genes will override others. The B gene is dominant on the b gene, and the G gene is dominant on the b gene. The b gene is always recessive. The color determined by the EYCL1 gene is blue, but that determined by the EYCL3 gene is brown. Finally, this individual would have brown eyes because the gene EYCL3 (having value B) will be dominant on the EYCL1 gene (having value b). The notion of "undefined" color corresponds to an individual whose eye color is unknown. This means that he can possess one of the sixteen possible combinations that can determine the color of his eyes. Of the sixteen possible combinations: twelve correspond to the brown color, three to the green color, and one to the blue color. When we know the color of an individual's eyes, we can determine the possible combinations corresponding to him. The chromosomes of baby will be made up of one or the other of the alleles of each of the parents. We can therefore calculate all the possible combinations determined by the eye color of each parent. - For two parents with brown eyes, the number of possible combinations is 331776 !!! - For two parents with blue eyes, the number of possible combinations is now only 16 (but all equal to "bb bb"). Using this method of calculation, we find that two parents with blue eyes and / or green eyes can not have a child with brown eyes. Whereas in reality this could happen! Even if the possibilities are minimal, they prove the limits of this method of calculation. It is for this reason that the calculator is "rigged" when the final result is displayed, in the event that both parents have green and or blue eyes, to indicate a minimum percentage of chance that the child could have brown eyes. What are the different elements that make up the eye? The eye is an organ that detects light and is the basis of the sense of sight. Its function is to convert light energy into electrical signals that are sent to the brain through the optic nerve. The human eye works in a very similar manner to that of most vertebrates and some molluscs. And a light-sensitive tissue, which is the retina.. The light penetrates through the pupil, passes through the lens and is projected on the retina, where it is transformed, thanks to cells called photoreceptors, into nerve impulses that will be transported via the optic nerve to reach the brain. Does the color of the eyes change with age? The color or tint of the eyes of a human being changes very little during our existence, except during the first days of our lives when the color of our baby's eyes is not yet completely determined. But some diseases, or serious accidents can slightly transform the color of our eyes. Another cause of an individual's eye color change is the fact that some have an iris or melanin is not uniformly distributed, resulting in an iris of many colors. According to various external changes (such as sunlight), or physiological (blood pressure), the color perceived by people watching you may differ. Can we change the color of his eyes? The color of the eyes depends on the type and amount of pigment the iris has. This pigment, called melanin, is a natural eye protection against ultraviolet rays. During the evolution of the human species, over the centuries, a greater amount of melanin has developed in the sunnier areas (brown eyes, black eyes, brown eyes) and less melanin (gray eyes, blue eyes, green eyes) in the less luminous areas. Many people, for aesthetic reasons, want to change the color of their eyes and the only way is the use of cosmetic contact lenses which, if they are well adapted, is a safe method. What is the percentage of people with brown, green or blue eyes? The distribution of the color of the eyes of human beings on our planet is far from homogeneous. This distribution varies enormously according to the geographical areas and ethnic groups represented. The eye colors vary from blue, green brown, amber, brown, almost black, gray or even multicolored! But we can classify them into three main categories: blue, green and brown. The most represented color in the world is the brown color, with about 75% of the world's population, then comes the color of blue eyes with about 23% and finally the color green with less than 2%. What are the laws of Mendelian genetics? Mendel's laws were developed by a genetic researcher, considered the father of genetics: Gregor Mendel. This scientist has conducted experiments that have elucidated the fundamental elements of heredity, an example of Mendel's law is the prediction of the traits of descendants by the characteristics of the parents of an animal or plant species. This scientist has been inventing some of the most well known terms of genetics, such as the terms "dominant" and "recessive", which are hereditary factors present in the characteristics and hereditary traits of organisms across the three laws from Mendel. Which are: "Law of uniformity of the first generation hybrids", "Law of disjunction of the alleles" and "Law of independent segregation of the multiple hereditary characters". Where does the color of green eyes come from? Green eyes are the product of moderate amounts of melanin. Green is an intermediate color between brown tones and blue or gray tones. The genes involved are EYCL1 and EYCL3. Thus, the dominant allele for EYCL1, conjugated to any allele for EYCL3, with the exception of the dominant allele of the latter, leads to the green color of the eyes. It is native to Europe and only 2% of the world's population has this eye color. What is the origin of the color of blue eyes? Soon after birth, many babies have blue eyes, even if their parents have brown eyes, because the melanin proteins responsible for the pigmentation of the iris have not all been released yet. It is the variation of the levels of this pigment, associated with the effect of light interference, which gives birth to all the colors of the eyes that we know. Depending on the amount of melanin present, the eye may appear dark brown, light, nutty, green, gray or blue. In 2008, a team of researchers from the University of Copenhagen discovered a particular genetic mutation regulating a protein needed for melanin production. According to Hans Eiberg, who led the research, this genetic discovery suggests that all the blue-eyed people around us today are the descendants of a single human being, who would probably have lived between the ages of 6,000 and 10,000. Eidberg argues that all people had brown eyes until this genetic mutation in the OCA2 gene triggers a process that literally "extinguishes" the ability to produce the brown color in the iris. It seems that people with blue or green eyes are more likely to suffer from skin cancer, especially melanoma. In reality, being a person with white skin and blue eyes is an anomaly that has been produced by very specific conditions. About 20% of the population has blue eyes. They are relatively common in Europe, with more marked areas in the Nordic and Eastern countries where the majority of the population has blue eyes. Can we have one eye of one color and the other of another? Yes, but it's pretty rare. Studies show that fewer than 11 out of a thousand people have different colored eyes. This strange feature is due to several factors, and can change over time. The color of the iris develops during the first months after birth, melanin levels in the iris determine the color of the eyes. But sometimes the concentration and distribution of melanin are not uniform in both eyes, leading to a known phenomenon called heterochromia. Complete heterochromia, when each eye is of a clearly different color, for example, a blue and other brown eye. Central heterochromia, when the eyes have many colors, like a blue iris with a yellow-brown ring around the pupil. And sectoral heterochromia, when the iris has a touch of color different from its general tone. Alterations in eye pigmentation are not necessarily indicative of an underlying medical problem, but are the common features of many hereditary genetic disorders. But sometimes the formation of tumors inside the eye can cause heterochromia. Why do babies have blue eyes at birth? The color of the eye is due to the amount of melanin that the iris contains. It is a protein secreted by melanocytes that stain the iris, hair and skin. In the newborn, the melanin-producing cells, the melanocytes, are still immature and produce melanin in small amounts. Over the months, this melanin production increases and darkens the skin, hair and eyes. There is a popular belief, which links the light color of the baby's eyes to the duration of breastfeeding. In other words, some people think that the light color of the baby's eyes is caused by breastfeeding. In fact, there is no scientific basis for this belief. 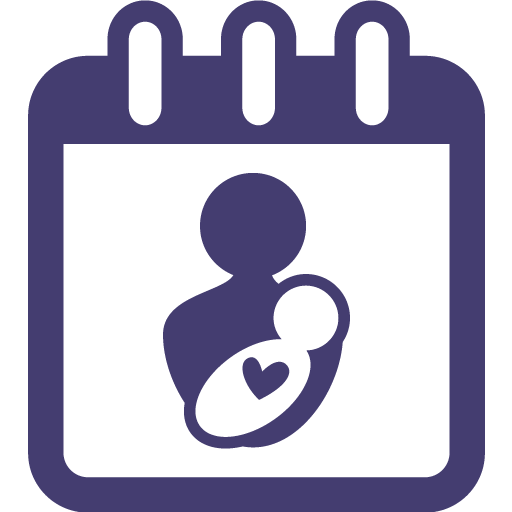 The average duration of breastfeeding being 6 to 9 months, this could coincide with the darkening of the eyes of a baby depending on the maturation of melanocytes. But there appears to be a relationship between sun exposure and activation of melanin production by melanocytes. In some adults, the color of their eyes has changed as a function of their exposure to the sun. But the final color of a baby's eyes is defined genetically even though some external factors such as light are likely to influence it. After birth, if the melanocytes secrete a small amount of melanin, the baby will have blue eyes. If this amount is a bit higher, the baby's eyes will be green, honey or hazel. And if the secretion of melanin is greater, the baby's eyes will be brown, dark brown or black. Can a blue-eyed mother and father have a brown-eyed baby? Can two parents with brown eyes have a baby with blue eyes? What are all the colors of the existing eyes?